This expandable rack-top bag is optimized for day trips, allowing for storage of unplanned cargo that you may pick up along the way. 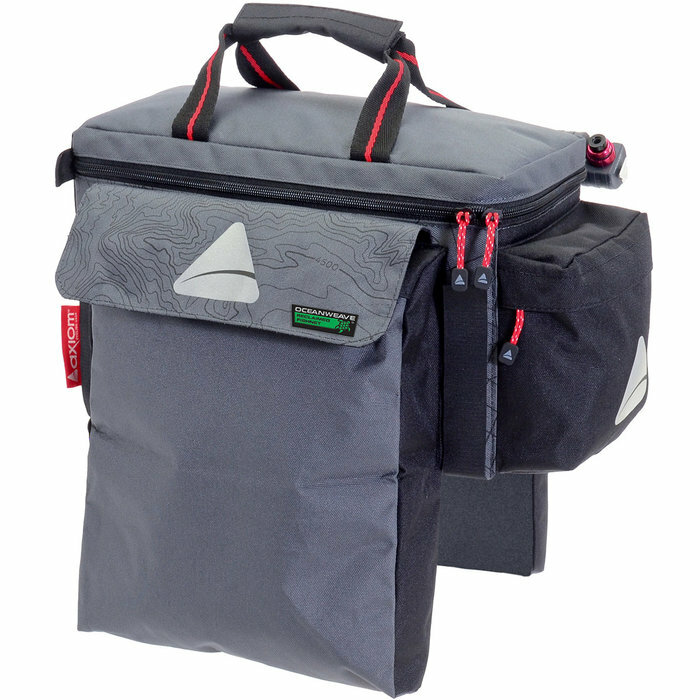 The thermal-lined, washable main compartment is intended for use as an insulated lunch bag. Fits up to 1 full bag of groceries. Side pockets expand to provide additional storage.